Wow, look at that, today is the last day of May and my last post was in April. Where the hell have I been? May has been pretty rough. 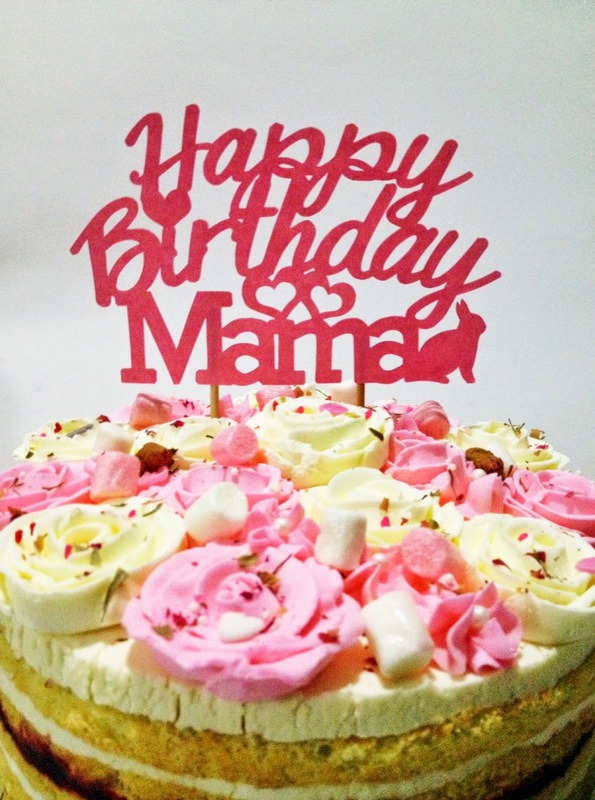 The only thing I did was this papercut cake topper for Mama's birthday (first week of May). I ordered this Ispahan cake (which took me quite a while to pronounce properly) from a friend, Jeanette, owner of Mary's Pastry Lab. It was very beautiful cake and was definitely a hit, causing curiosity of a number of friends. And then, I did literally nothing until toward the end of this month, an order made about 2 months ago that I've actually finished cutting, last month. It's a papercut for baby's birth day, ordered by my primary school friend who's now Sydney-based. I was quite relaxed on this one cause I knew I'd finished cutting it, and the only thing left to do was to print the note and the photo of the baby. When I completed the whole thing (feeling accomplished), I took a photo and then saw a dreadful thing on the phone screen. Something was odd, something wasn't right. I missed a letter!! Shoot! This has happened before when I missed a whole word of a quote. That time I took it very badly, even though the whole thing still made sense with the word missing. This time I was much calmer :) didn't scream and didn't yell or anything. Ha! I quickly contacted my friend and to my relieve, she said I had 3 more weeks to get it done. So, I redid the whole thing (gosh!). Here it is.